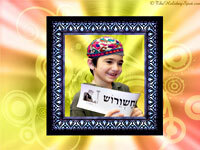 Let your device deck up for Purim too, whether it is an IPad, tablet, Laptop, Mobile phone or a PC. 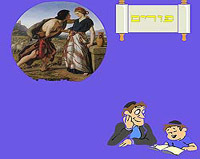 We have Purim wallpapers in all sizes, in HD and in Wide screen. 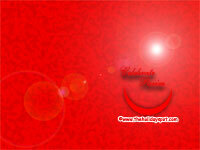 You can also share them in Facebook or any other social site, or send them a agreetings for the season. So just scroll down, take your pick, click and download/share. 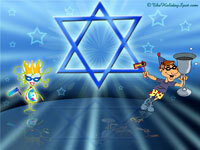 Happy Purim with wonderful Purim wallpapers and backgrounds. 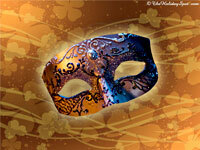 Eight Wallpapers, exclusively for Purim. Hope you like these wallpapers. 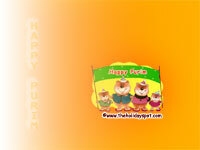 Just click on the size you need, and the Purim wallpaper will open in a new window. 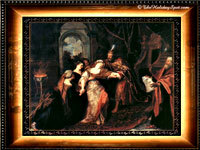 Right click on the image on the new window after it loads fully, and then set as wallpaper. Please let us know your comments and suggestions, so that we may improve our service to you. 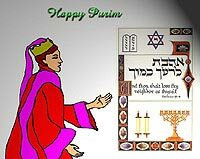 Wish you Happy Purim ! Note: It may take some time to load the wallpapers, so please be patient. Click Here For Hanukkah Wallpapers !